Perfect for cats who need some extra playtime and exercise, this delightful cat tree features the excellent IQ Busy Box and a three-armed puffball play mobile. With a cozy cat condo and tall perch, this unit offers impressive relaxation space to match its energetic exercise applications. 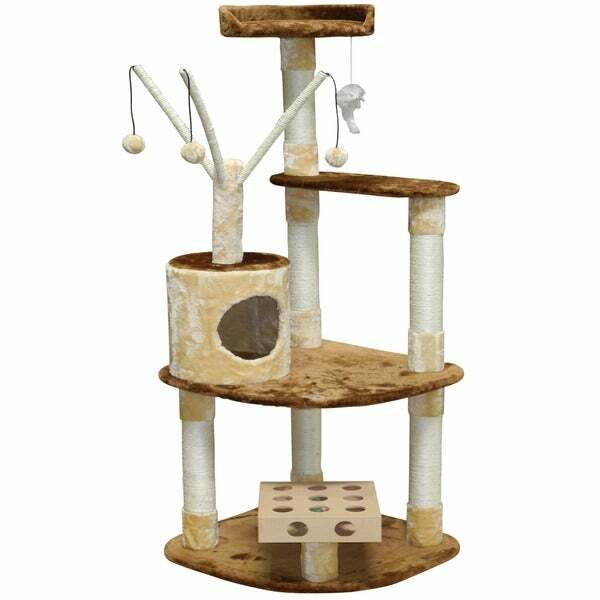 Keep minds and reflexes sharp when you offer this cat tree to your feline family members as a place of their own. Best Places for a Cat Tree from Overstock.com. Every cat loves a personal roosting place, and cat trees are the ultimate in pet homes. How to Choose a Scratching Post for Your Cat from Overstock.com. All cats love to scratch, so make sure to give your kitty a scratching post that will suit her.